Posted August 3, 2017 by Zarana & filed under Dessert, Dietitian, Gluten free, kids recipes, Natural, Nutrition, Recipes. 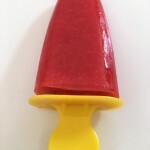 Beat summer heat with these cool homemade fruit popsicle with only 4 natural ingredients and absolutely no sugar and artificial ingredients. My kids love to eat popsicles especially during summer break. I am not a fan of store bought popsicles as they are loaded with high fructose corn syrup, sugars, artificial colors and ingredients and ZERO nutrition. This recipe is free of all those unwanted ingredients and is super simple and a fun project to try with your kids during summer. To make homemade popsicles; you only need popsicle molds, few natural ingredients and little bit of creativity. There are a lot of popsicle molds available on the market. Ensure the one that you use are BPA free or there are some steel popsicle molds also available. I used watermelon and strawberry combination as it provides perfect balance of juiciness and substance to the mixture. Adding natural honey with lime zest gives perfect sweetness and freshness to these cool summer treat! To make these wash and clean strawberries. I recommend using organic fruits as much as possible to avoid unwanted pesticides. Strawberries are on top of the list of enviornmental working group’s dirty dozen – being sprayed with many pesticides and poisonous gases. To avoid these always use organically grown strawberries. Next, cut watermelon into pieces. Throw all the ingredients in a blender and blend until smooth. You don’t need to add any water as watermelon takes care of it:). Once mixture is ready; pour it in popsicle molds and set it in freezer for about 3-4 hours or overnight and chill! Your popsicles are ready. To get your popsicles out of the mold; place the mold in 1/2 cup of luke warm water for a few seconds and they will pop out very easily. These popsicles were a huge success at our house and got my son super excited to make many different flavors. I encouraged him to make one on his own and he made with mixed berries as he loves all berries:). We are going to continue experimenting with some other flavors as well. Enjoy these natural treat with your kids this summer! Variations: You can use other fruits as well – mixed berries, mango, kiwi-lime all work great for fruity popsicles. If you want to make creamy popsicles; you can make yogurt-berry pospicles. 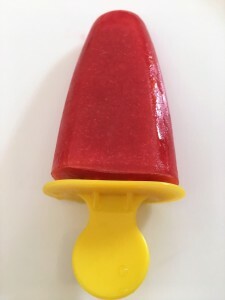 To make it more fun; you can also add small pieces of chopped fruits while freezing the popsicles. Cool summer Popsicle with 4 natural ingredients!! 1. Put all the ingredients in a blender and puree until smooth. Pour the mixture into popsicle molds and freeze for 3-4 hours or until completely solid. 2. To get popsicle out of the mold place in a cup of warm water for 30 seconds. Posted July 16, 2017 by Zarana & filed under Dietitian, Nutrition, Recipes, Salad. This is by far my FAVORITE salad! 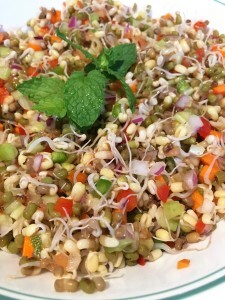 Looking for a very unique and super simple recipe for salad that is packed with tons of nutrition? Then look no further! 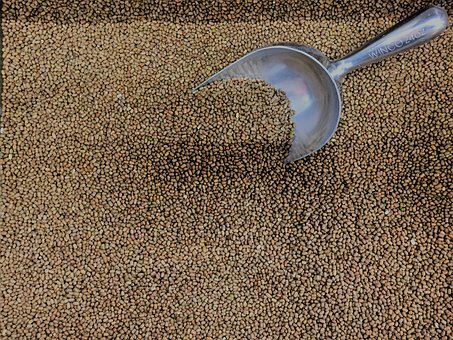 Mung and moth beans are legumes and are staple food in cultural Indian diet for thousands of years. Mung beans also known as moong beans are getting popular in western countries due to it’s high nutrition profile and you can find them in many grocery stores. 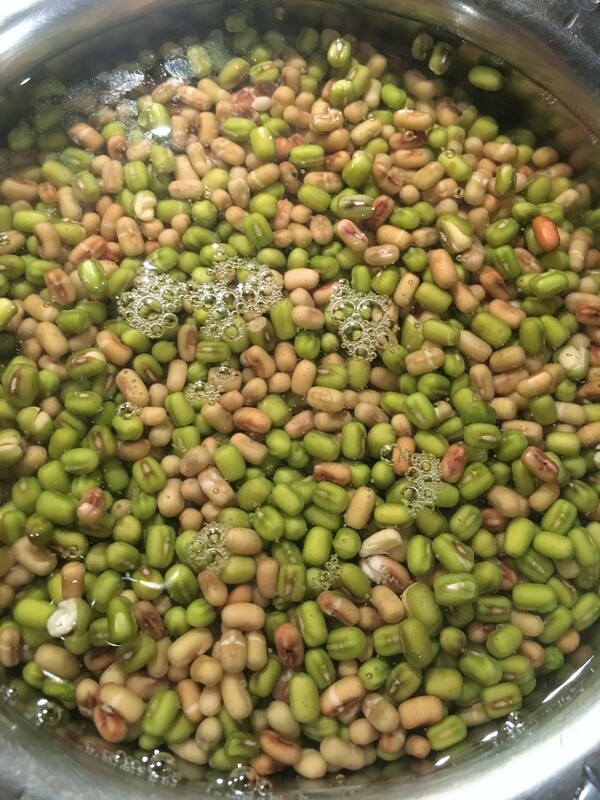 Moth beans also known as matki are brown colored beans very similar to mung beans. I call them cousins :-). You can buy them at an ethnic Indian grocery stores. They are “nutrition power house” with high protein content and rich source of B vitamins; especially folate, magnesium, potassium and resistant starch. Both these beans are high in soluble as well as insoluble fiber; which helps to keep you full, relieve constipation and can also help reduce cholesterol, improve blood sugars as well as help with weight loss. They are also high in phytoestrogens. Studies suggest plant based foods like mung beans and other beans helps reduce inflammation. All beans and legumes contain some anti-nutrients which can cause flatulence/gas. Mung and moth beans contain some of these anti-nutrients but in much less amounts and are also soluble in water. Hence, both these beans are easier to digest compared to other beans. 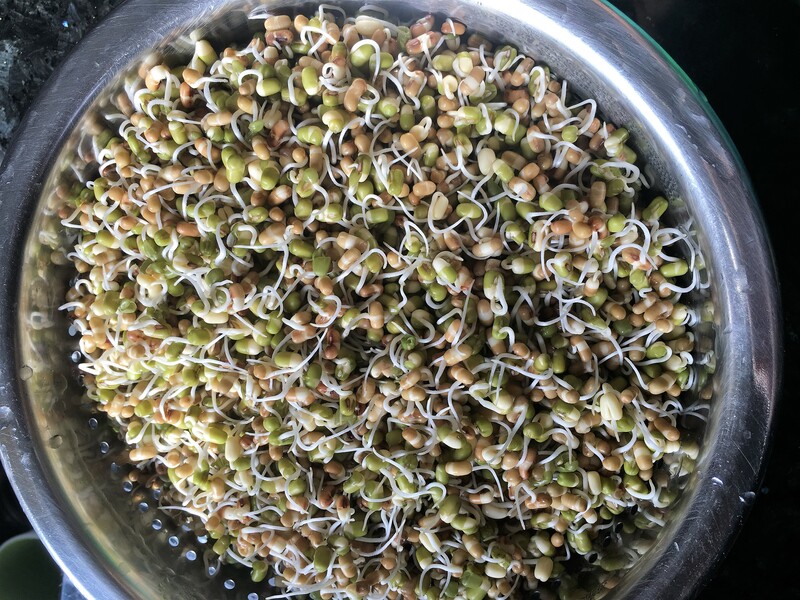 In addition, Sprouting beans and combining with digestive spices makes them easy to digest, activates the enzymes and increases nutrition content. 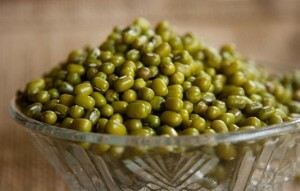 According to Ayurveda; mung and moth beans are recommended food for summer. They have astringent taste which helps tone your digestive organs. They are also very versatile and can be eaten combined with grains, vegetables and spices. For making sprouts: Making sprouts is one of the easiest things and doesn’t require much efforts. All it requires is some patience :-). 1. 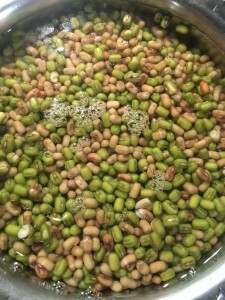 Wash and soak mung and moth beans in water overnight or 7-8 hours until they become soft. 2. Now place the beans in colander to strain all the water. Cover the colander and leave it on your kitchen counter for 7-8 hours. 3. The beans will start sprouting on their own. You don’t have to do anything – isn’t that easy! 1. Once sprouts are ready; boil them in water for about 10 minutes until soft in consistency. Cooking makes them further digestible. 2. Chop all the vegetables and separate pomegranate seeds. 3. In a bowl combine sprouts with vegetables, pomegranate seeds. 4. Add the super simple dressing: lime juice, salt and pepper, cumin powder and mix it well. 5. Garnish with chopped cilantro and mint leaves. Posted March 28, 2017 by Zarana & filed under 10 tips, Dietitian, Nutrition. Looking to adopt healthy lifestyle changes for you and your family? Are you confused with a lot of information out there? Do you want to offer your kids better nutrition but don’t know how? If you answered yes to any of these, let me say that you are not alone. In today’s world, full of fast and processed foods, busy lifestyle and lot of conflicting information out there, it certainly sounds overwhelming to make healthy eating and lifestyle changes. As a mom, a wife and a dietitian I completely understand the struggle that many parents are going through these days. 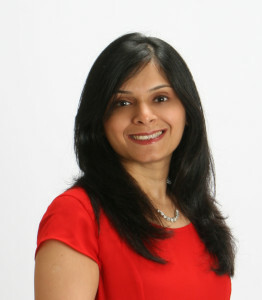 Let me share my 10 step approach to sustainable healthy lifestyle for the entire family. 1. Balanced plate: I am pretty sure you must have heard “You are what you eat”. This is one of the basic principles of eating healthy. A balanced diet providing adequate nutrition from macro nutrients(carbohydrate, protein and fats) and micro nutrients ( Vitamins and minerals) is very important aspect of improving and maintaining your health. when you plan your meals; try to include variety of foods from each food group to provide all necessary nutrients and also be mindful of portions of each food you consume. There are some helpful tools available on my plate to help you plan out balanced meals for your family. 2. Skip the “ADDED” sugars: Sugars come from natural food sources such as fruit (fructose) and milk(lactose) as well as from cakes, cookies, sweetened beverages as an added sugars. Today, added sugars make up for the most of sugars consumed. Researchers have found strong correlation between excessive added sugar intake and chronic health problems such as obesity, diabetes, heart disease, cancer and Alzheimer’s. American heart association recommends limiting sugar intake to 6 teaspoons for women and 9 teaspoons for men; 6 teaspoon for children between 2-18 years and zero added sugar for kids under age 2. To put that in perspective; 1 can of regular soda can have 8 teaspoons of sugars. Rethink your drinks and replace sugary drinks with water, unsweetened tea and fruit flavored water. Many people eat way too much sugar than recommended amounts and kids on an average eat three times the recommended amount of sugars. The body really doesn’t need added sugars as there is no physiological function for added sugars. Natural sugars from fruit and milk could be included in moderate amounts in one’s diet. 3. Say “YES” to healthy fats: For several decades fat has been named bad for your health especially for the heart; however, recent studies show that healthy fats can be actually beneficial for heart health in addition to improve memory and cognition and enhance mood. Fats are essential for living and performs many important functions in the body including provide energy, make hormones and absorb fat soluble vitamins. Healthy fats from Fatty fish like salmon, sardine, mackerel and herring; Good quality olive oil, Ghee (clarified butter), nuts and avocado can be included in daily diet to provide essential fatty acids. 4. Eat “MORE” fiber: Dietary fiber includes parts of plants that body can’t digest or absorb. Fiber is classified into soluble – which dissolves in water and insoluble-which doesn’t dissolve. Soluble fiber is found in oats, peas, beans, apples, citrus fruits and psyllium; it can help lower cholesterol and sugar levels. Insoluble fiber is found in whole wheat flour, whole grains, beans and vegetables. Insoluble fiber helps relieve constipation by movement of food through digestive tract. To increase your fiber intake gradually increase intake of fruits, vegetables, whole grain and beans. Starting too much fiber at a time can give intestinal gas. It is also recommended to drink plenty of water while eating a high fiber diet as fiber works best when it absorbs water. 5. PLAN ahead: With our modern day busy lives and convenience of drive-through, it is very easy to fall prey to fast foods. One of the best strategy to work against that and eat healthy meals is to plan ahead. I recommend making a weekly plan, which will allow you time for grocery shopping and meal preparation ahead of time to make week night dinners easier to prepare and avoid stopping by the takeouts or drive-through. Planning meals and even grocery shopping with family creates increased interest in healthy eating behaviors for the entire family. 6. KIDS in the kitchen: Do your kids help you in meal preparation? Cooking? Kids who are allowed to be hands-on with cooking are much better at eating a healthy and balanced diet. This also will encourage them to taste and even eat some of the foods they have never before. Cooking with your kids also provides the best time to teach about healthy eating habits. By instilling an open-minded approach to food can also help them develop similar skills towards life as they grow and be more welcoming to new tastes, cultures and attitudes. Teaching your kids how to cook is one of the best gifts you can give! 7. Family dinners: Growing up in a large family, I don’t recollect even a day when I ate meals alone. It was always with family while talking, sharing and enjoying togetherness. I still continue this practice with my family; my kids also never want to eat alone:). In today’s busy lifestyle with both parents working; evenings full of after-school activities and chores – it can be challenging to always eat together; however, my recommendation would be try to do it most days. Families who eat meals together are closer, happier and healthier. Research suggests that having dinners as families at least four times a week has positive effects on child development. Family dinners have been linked to decreased rate of childhood obesity, substance abuse and eating disorders. 8. Hydrate, hydrate, hydrate: Hydration is very important as our bodies are made up mostly of water. Drinking adequate water is essential for many body functions including waste removal through urine, control body temperature, heart rate and blood pressure. Some signs of dehydration are headache, cramping, anxiety, and confusion. Amount of water required for each individual varies based on age and activity level. A general recommendation of 8 – 8 oz glasses is good guide for most adults. Athletes may need more fluids than an average person. A simple recommendation is that for an average person drink enough so you can go to bathroom every 2-3 hours. 9. Family-Fitness-Fun: Living an active lifestyle is very important to maintain a good health and reduce risk for obesity, heart disease, diabetes and stroke. Find what interests you and your family and choose 2-3 different activities. Try to incorporate at least 150 minutes per week of active time. You could make it fun by reserving some time to play with your kids outdoors as it has many benefits. In addition to being active; it also allows time for non-tech games; provides good exposure to sun which helps in making Vitamin D and it’s a great bonding time for family as well. 10. Adequate sleep: Getting adequate sleep is essential for a person’s physical and mental health according to National sleep foundation; however, millions of people do not get adequate sleep. Ongoing sleep deficiency is linked to increased risk of obesity, heart disease, diabetes, high blood pressure and stroke. Most adults need ~7-8 hours of good quality sleep and most school age children need ~10 hours. 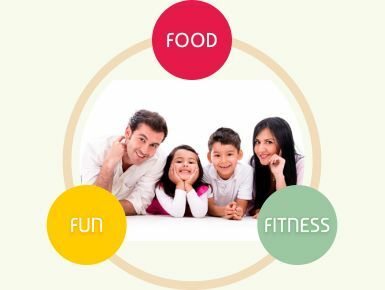 Implement these easy steps to achieve healthier lifestyle for the whole family. You can also start by adding one step at a time to allow time for everyone to get on-board with the lifestyle changes. Make a family calendar to ensure they become part of your daily routine. Another fun thing would be- each family member be responsible to take charge of 1-2 of the recommended steps and help everyone follow those steps. Finally, find what works for your family and enjoy getting healthier together!! Posted February 14, 2015 by Zarana & filed under Dietitian, Recipes. Heart day is here! We are surrounded by lots of love and tons of sweets around us. Grocery store isles are full of chocolates, cakes and cookies….But, as we celebrate our love for each other; What about something really HEALTHY FOR THE HEART? How about something savory on this Valentine’s day? 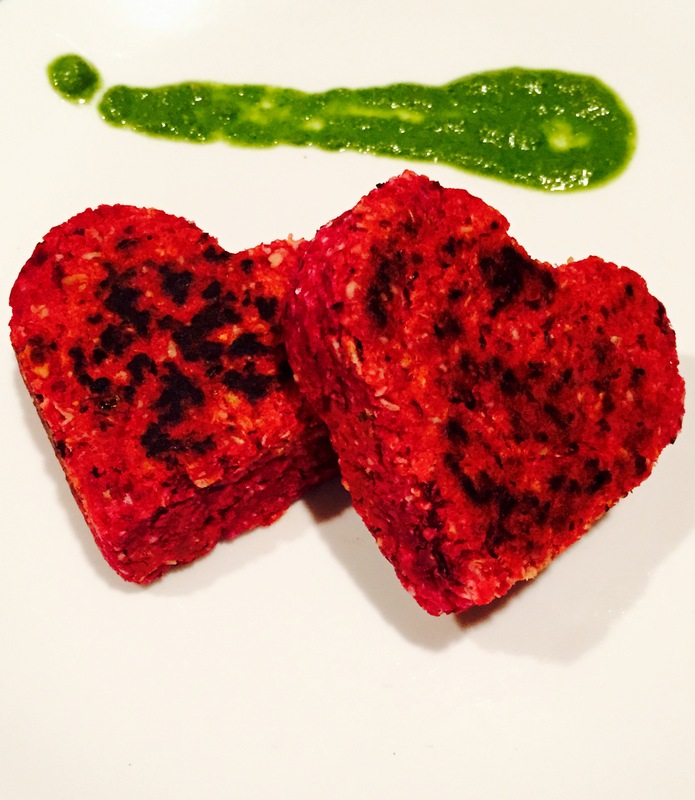 I made Savory Heart Patties to celebrate Valentine’s Day. They are perfect as an appetizer or as a snack. I used oats and red beans as my main ingredients – both are very high in soluble fiber and excellent super foods for heart. I also added small amount of beetroot mainly to impart the color and of course bunch of spices (that goes without saying; LOL!). I used Garam Masala which is mixture of spices and you can buy them at any Indian grocery store. I shallow fried these patties in Extra Virgin Olive Oil (EVOO) and served them with cilantro chutney – Yum!! Soak red beans for 4-6 hours in warm water and cook them well. Also, boil potato & beetroot. In a bowl, combine and mix beans, potato and beetroot with a potato masher. Now add oats, salt, lemon juice, sugar and mix it well. Divide it into 4 equal parts and shape it into round patty first and then into heart shape using a heart shaped cookie cutter. Cook these patties in a shallow pan with 2 teaspoon EVOO until cooked. Serve warm with cilantro chutney and/or ketchup! You could also serve them with Avocado-cilantro dip instead of chutney to make it extra special! If you wish to convert this into a meal; serve it on a bed of mix spring greens and a bowl of soup! Enjoy the special heart day with these heart patties made with love! Happy Valentine’s Day everyone! Posted October 3, 2014 by Zarana & filed under Recipes. Last night I wanted to eat something very tasty yet very healthy for dinner (or should I say Nutrilicious? ); so, I decided to make tacos with a twist! You can never go wrong with Tacos; right? I used quinoa with lots of vegetables as my filling for tacos. 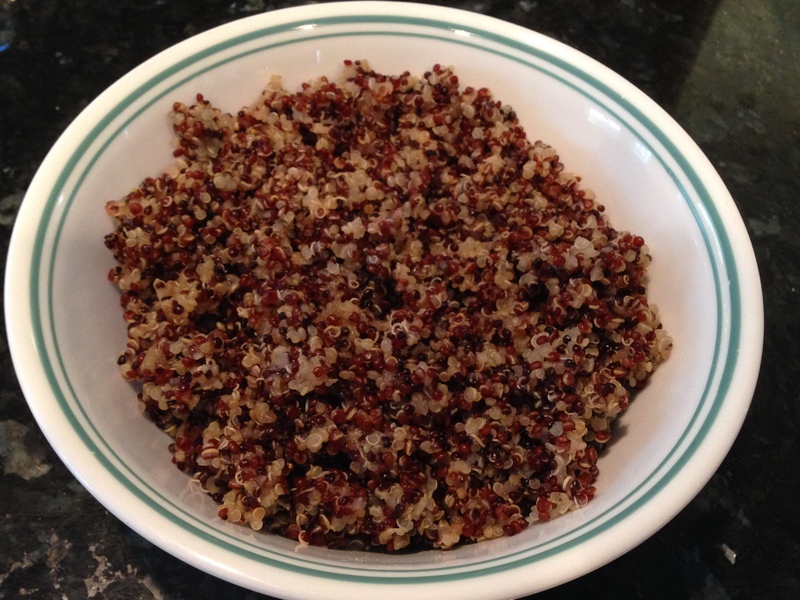 Quinoa is one of my favorite as it is not only high in nutritional value with high protein and fiber; but, is also versatile in cooking and adds nice crunch. I regularly make my tacos with black beans but, I switched them with edamame – Yum! Rinse quinoa well with water and cook with 2 parts water to every part quinoa until all water is used and / or quinoa is cooked. Fluff quinoa with fork and set aside. 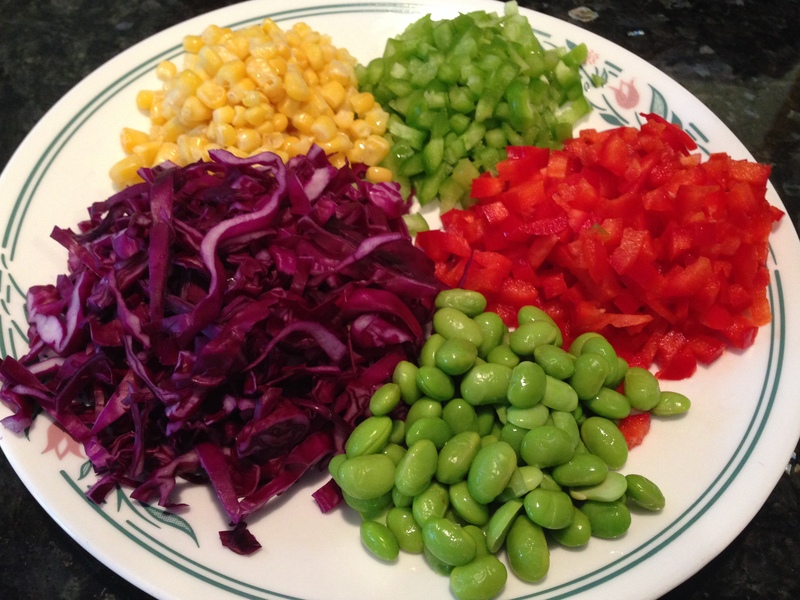 Chop purple cabbage, peppers and thaw corn and edamame. 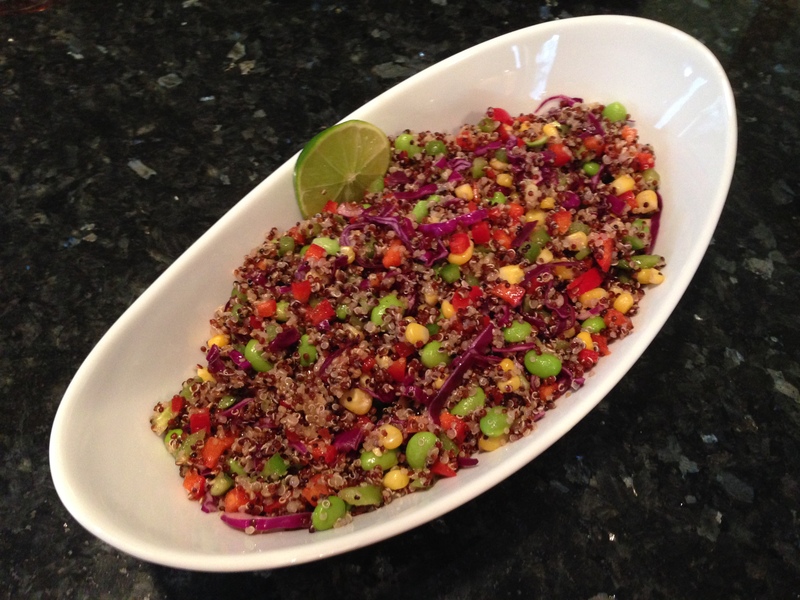 Mix quinoa with vegetables in big bowl and add olive oil, salt, pepper, cumin powder, lime juice and lime zest. Toss the mixture to mix all ingredients well. 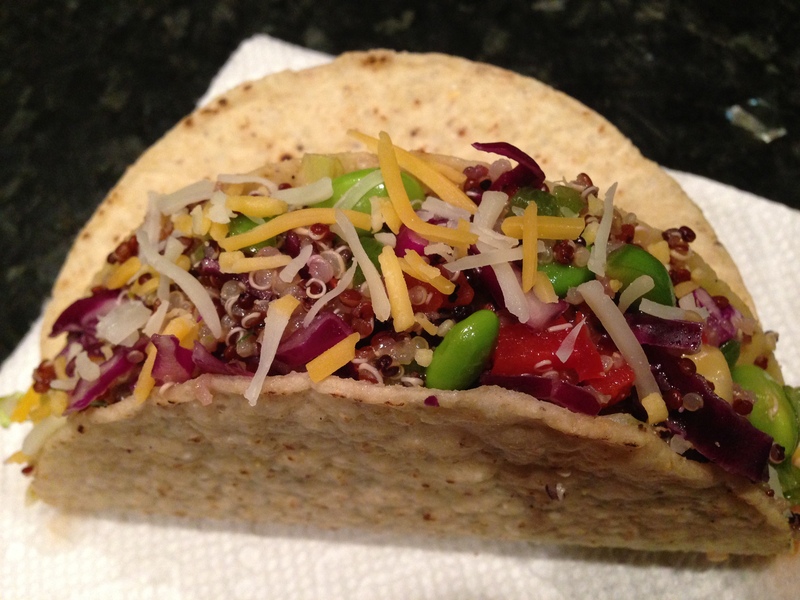 Take a taco and fill it with the quinoa mixture and top with salsa, guacamole and cheese. Enjoy these delicious tacos with a great nutritious twist! These tacos turned out really good and am surely going to try them again. I hope you also enjoy them as much as we did! Posted September 23, 2014 by Zarana & filed under Dietitian. Vegetarian and plant based diets have become popular in the USA and the interest continues to be on the rise. It is estimated that 7.3 million Americans are vegetarians. People follow vegetarian diets due to health benefits, ecological concerns or cultural/personal choice. Vegetarian diets have multiple health benefits including reduced rate of obesity, heart disease and even cancer. While you reap the rewards of vegetarian diets; it is important to keep certain nutrients in check to meet adequate nutrition needs. 1. Protein – Protein plays important role in growth, development and maintenance of tissues. You can get adequate protein in your daily diet by including foods like beans, lentils, tofu, quinoa, milk, yogurt, greek yogurt (provides double protein compared to regular yogurt), and nuts. Be sure to include protein foods from variety of sources as it improves the quality of plant based protein foods. 2. Calcium – Calcium is an essential mineral for bone health and teeth. Main sources of calcium are dairy products including milk, yogurt, and cheese. If you follow a vegan diet; fortified soymilk, rice milk or almond milk are great alternatives for dairy products. Some of the other good sources of calcium include fortified orange juice, dark leafy vegetables like spinach and collard greens. 3. Iron – The main function of iron is to make Hemoglobin to carry oxygen in blood. Iron from vegetarian food sources is not readily absorbed in your body due to presence of phytates. Pairing iron rich foods with vitamin C increases its absorption significantly. Make sure to sprinkle some lemon juice or drink orange juice with iron rich foods. Vegetarian foods high in iron include fortified breakfast cereals, black eyed peas, lentils, dried fruits (Raisins, prunes), and spinach. 4. Vitamin B12 – Vitamin B12 plays a vital role in nervous system function and blood formation. Since Vitamin B12 is mainly present in animal foods; only source of this very essential vitamin for vegetarians is milk and milk products, fortified soymilk, and nutritional yeast. Check with your doctor if you need to supplement B12 especially if you are a vegan. 5. Zinc – Zinc plays an essential role in immune function. Some foods high in Zinc on a vegetarian diet include nuts and seeds, wheat germ, pumpkin seeds, fortified breakfast cereals and milk. The key is to include a variety of foods in right amounts to meet all your nutrition needs. A well planned balanced vegetarian diet can not only meet all your nutrition needs; but, also help prevent onset of chronic diseases. Consult with a registered dietitian to make an individual plan for you. Posted September 9, 2014 by Zarana & filed under Dietitian. Hey everyone! 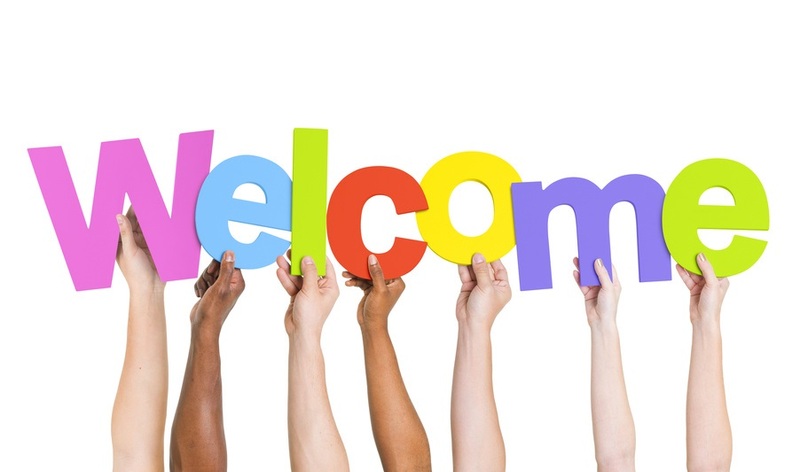 This is Z welcoming you to my website and blog! Wondering – what is nutrilicious? I often hear people are interested in making healthy lifestyle choices; however, finds it difficult due to conflicting information or lack of time. In my view; eating healthy should not be complicated at all.